Traveler Review for Private Tour in Osaka, Japan by Tour Guide Toyoko M.
About Toyoko M. Message Toyoko M.
Toyoko was a fantastic guide! First of all, she showed up in a traditional Japanese kimono - Very professional & fun. 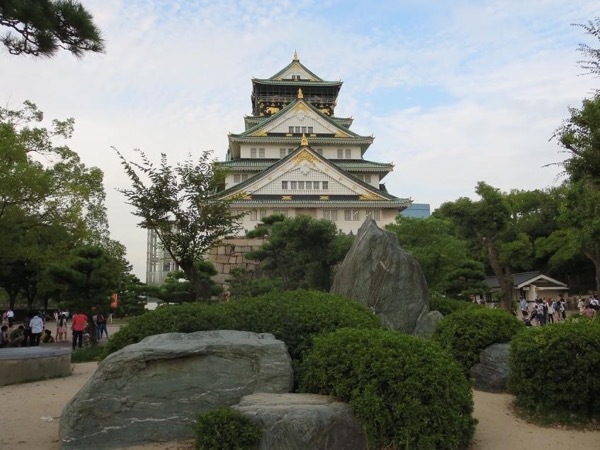 We took the half day tour of Osaka, and saw the 3 "must see" spots: Osaka Castle, Shitennoji Temple, & the Dotombori area. She took us to a great traditional Japanese lunch & even brought a coupon for drinks - very thoughtful! She even went out of her way to help find my wife a special Japanese dessert food that she had been looking for the last few days. Super tour for the money too. TOUR GUIDE RESPONSE: I was very happy to be a guide for Jeffrey and his wife. It was my first tour since I became a tour guide in ToursByLocals. They were very kind to me, and I do thank them for giving me a great opportunity to be their guide, and also for giving a sweet message and a high rating to my tour.